Celebrate the release of the DC Comics HeroClix: Batman The Animated Series Booster Brick or jump into HeroClix your first time with this all-new HeroClix Starter Set! Expand Your Set With Boosters! 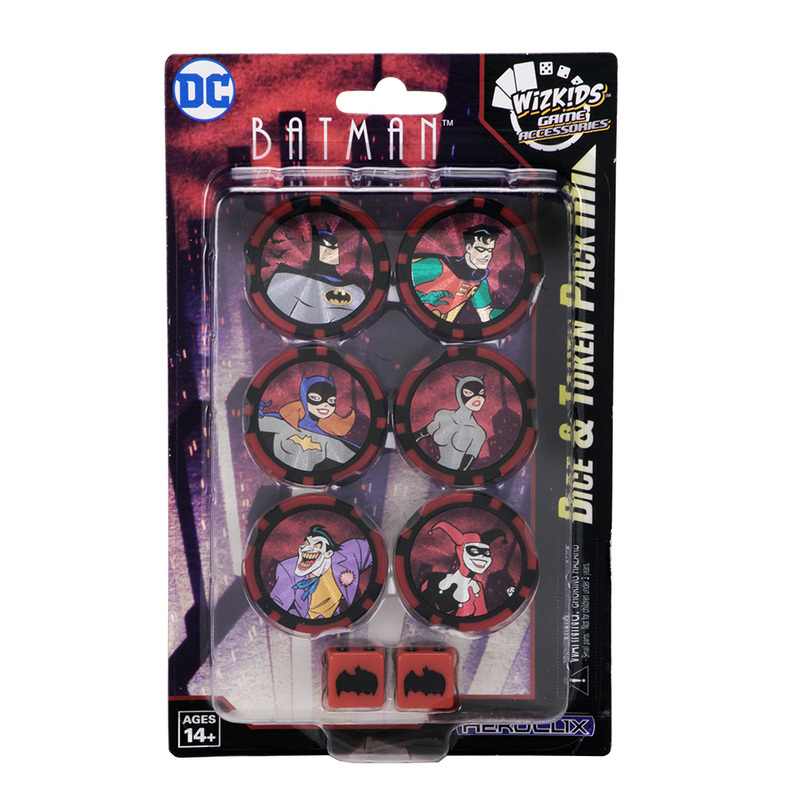 Batman: The Animated Series was the Batman of a generation. 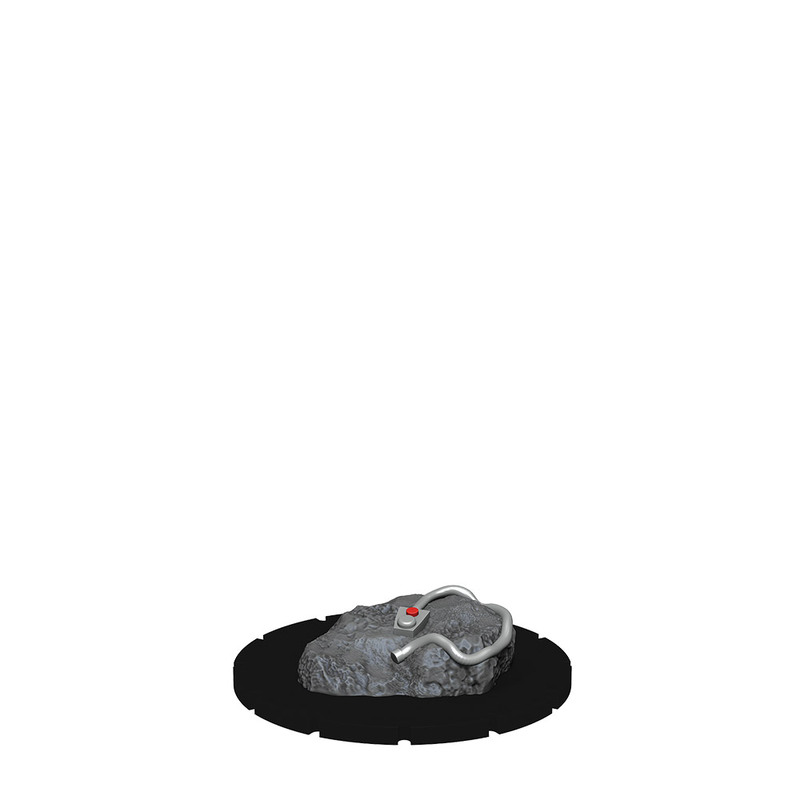 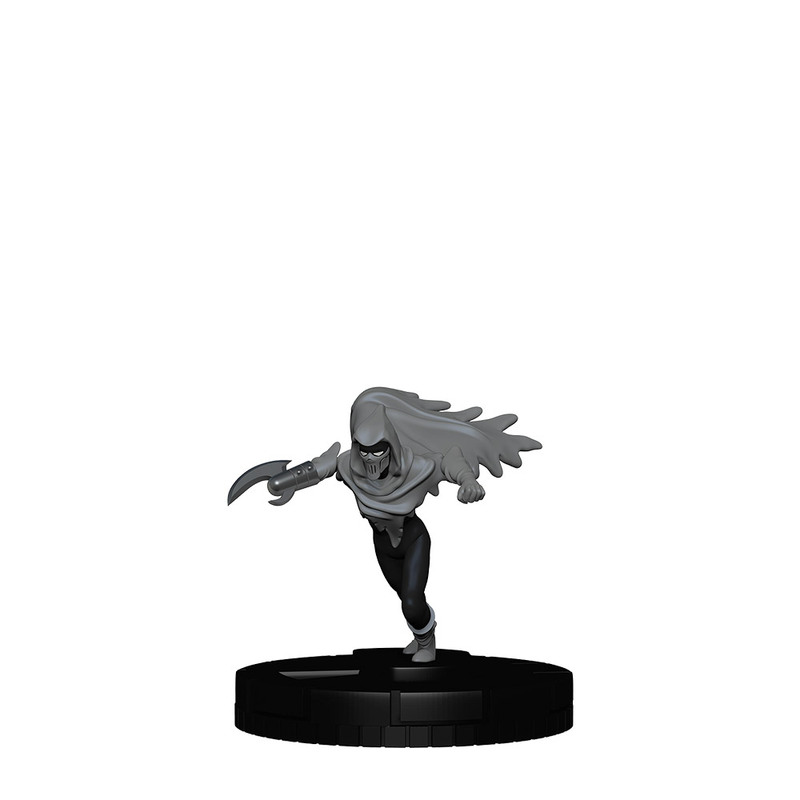 It’s consistently praised by critics, and was nominated for more than 20 awards during its run. 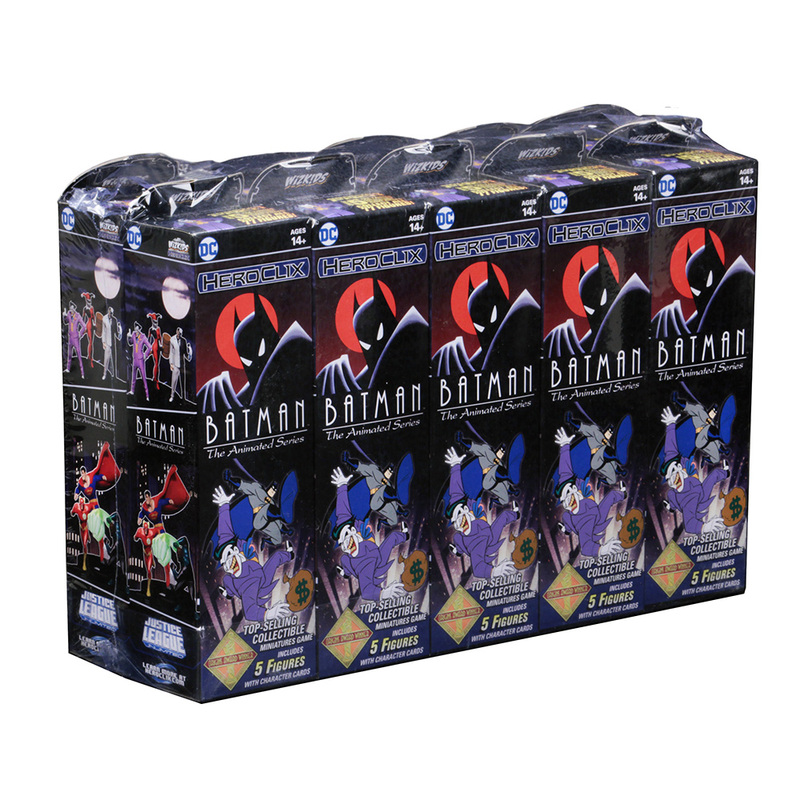 More than 25 years later, it’s still one of the top superhero cartoons of all-time. 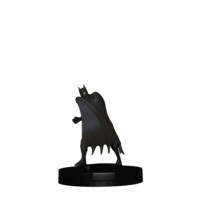 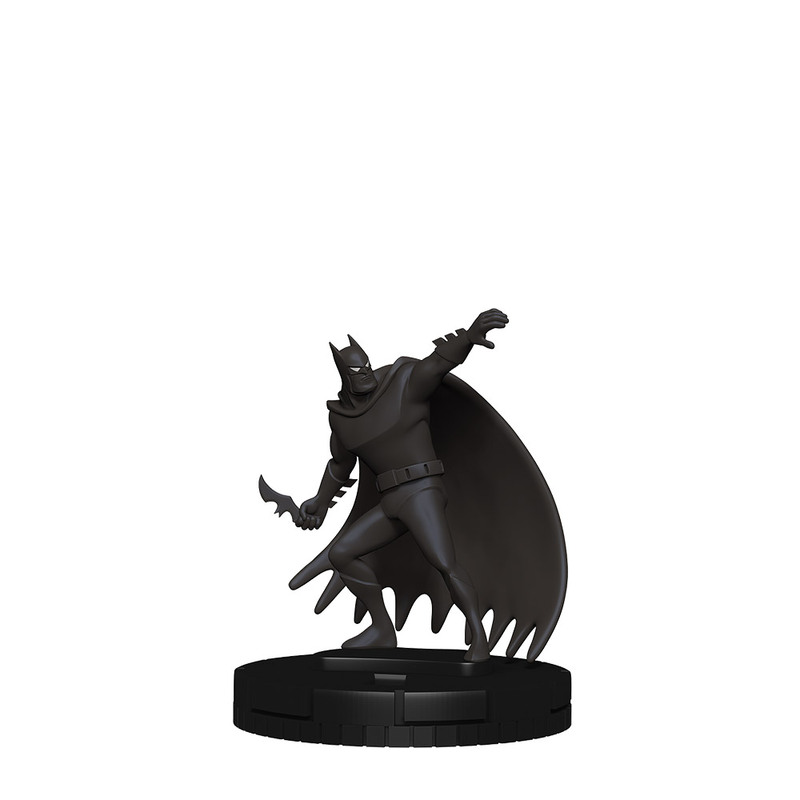 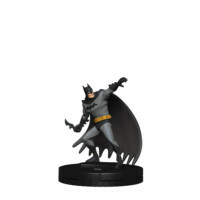 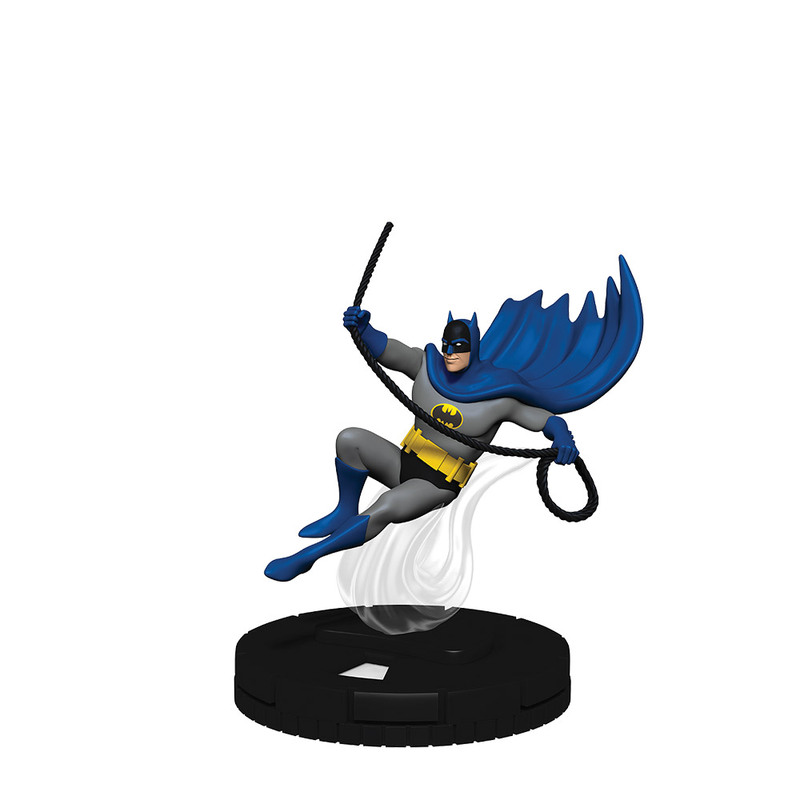 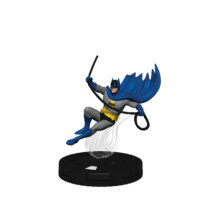 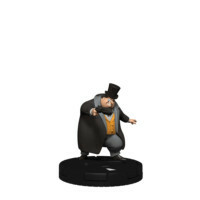 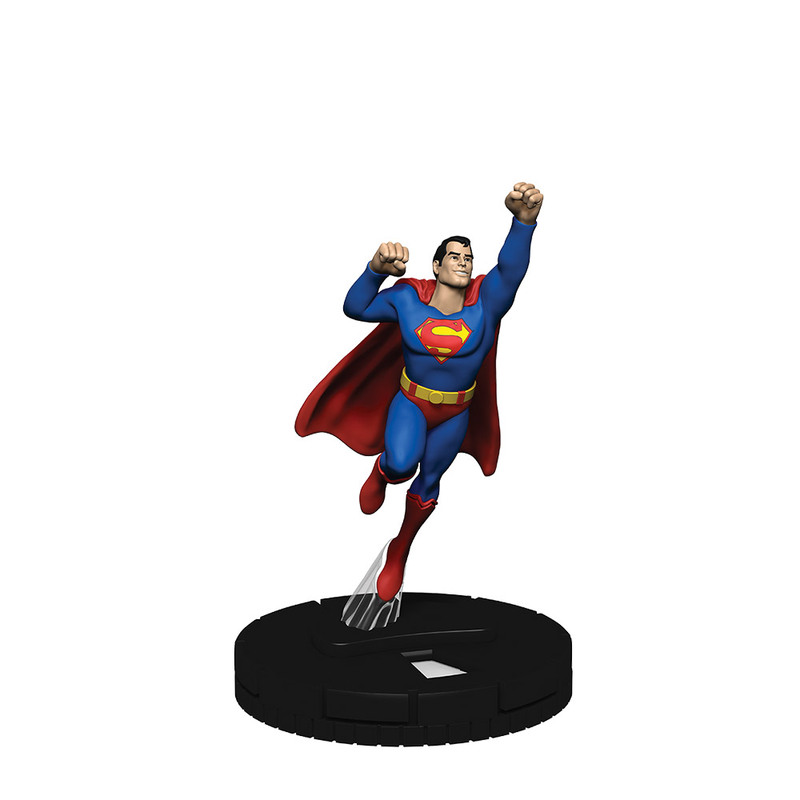 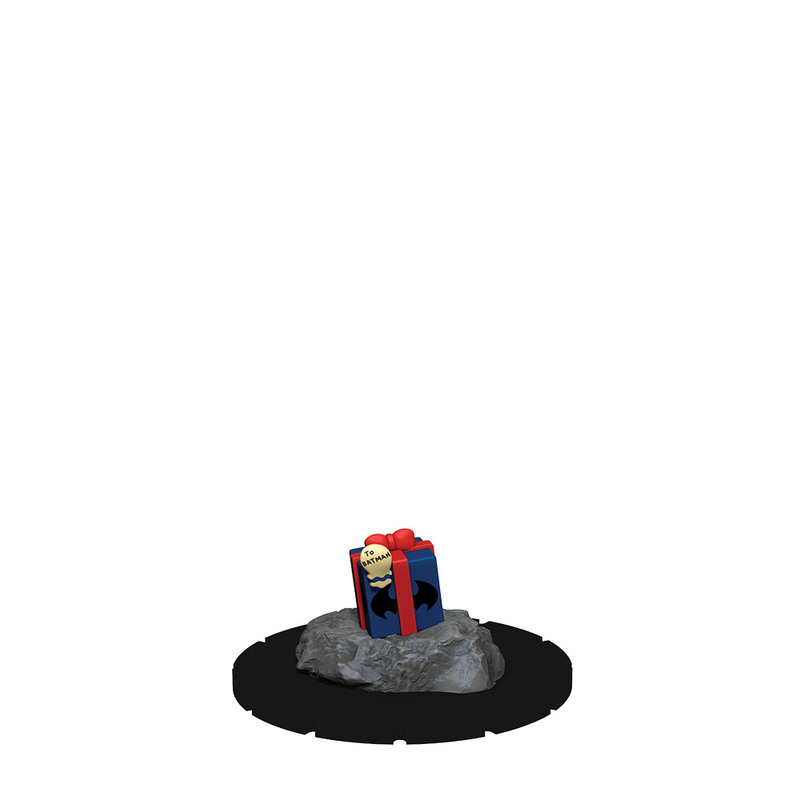 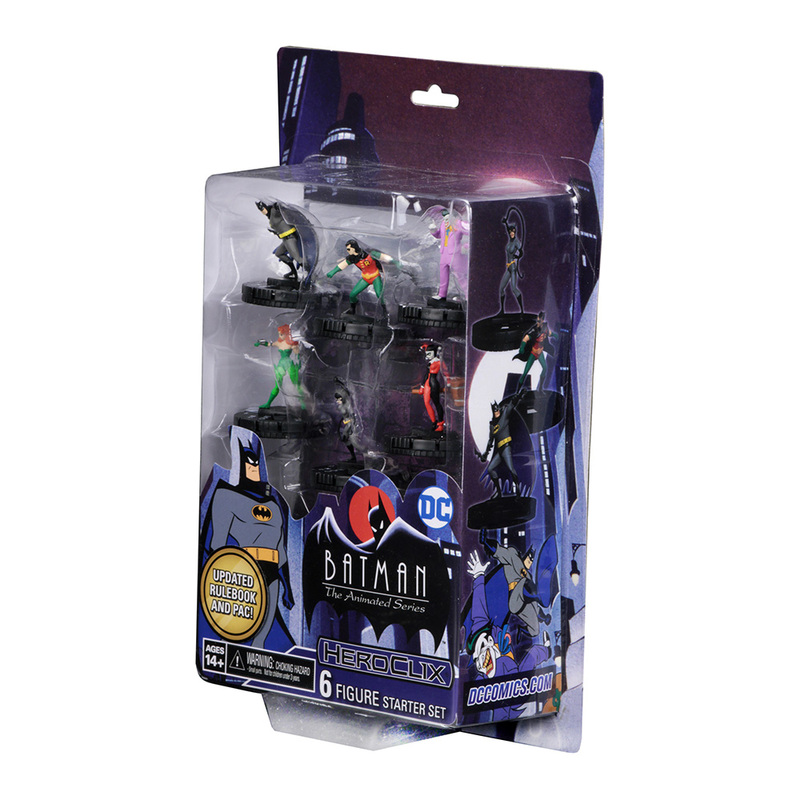 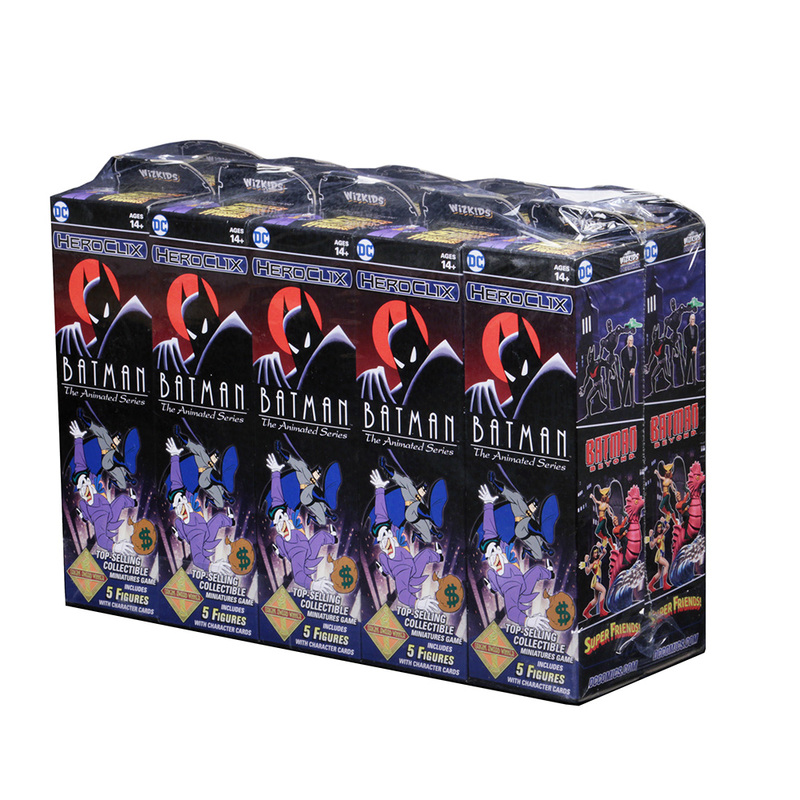 For the first time ever, these versions of your favorite Batman characters come to HeroClix! 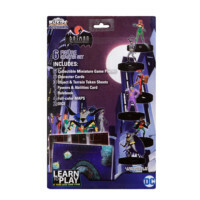 In addition to the heroes and villains of Gotham, fans will be delighted to learn that there are characters from Justice League Unlimited, Batman Beyond, and the Super-Friends! 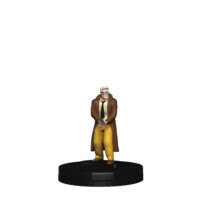 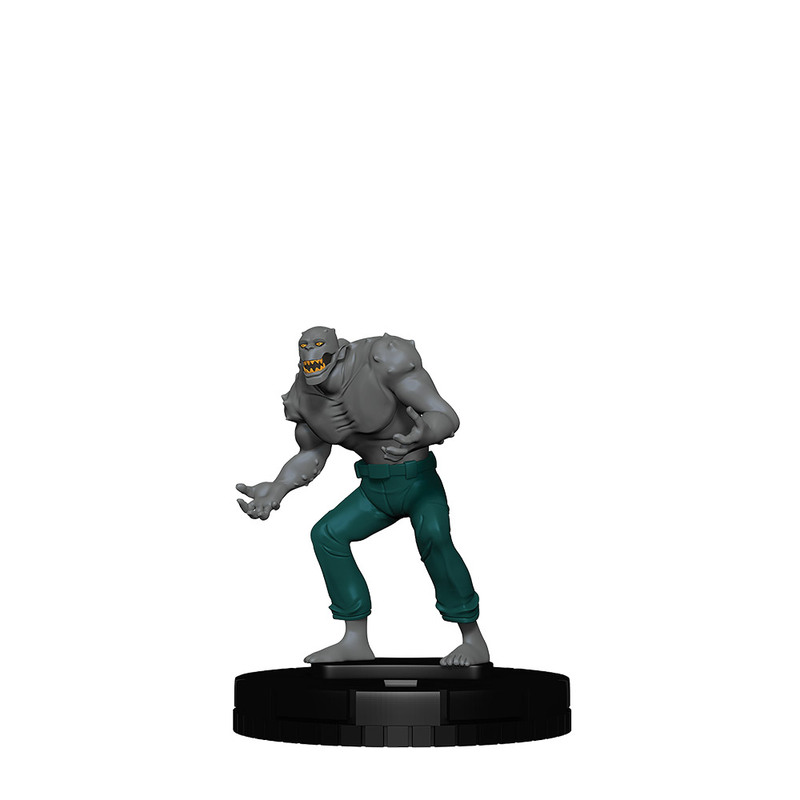 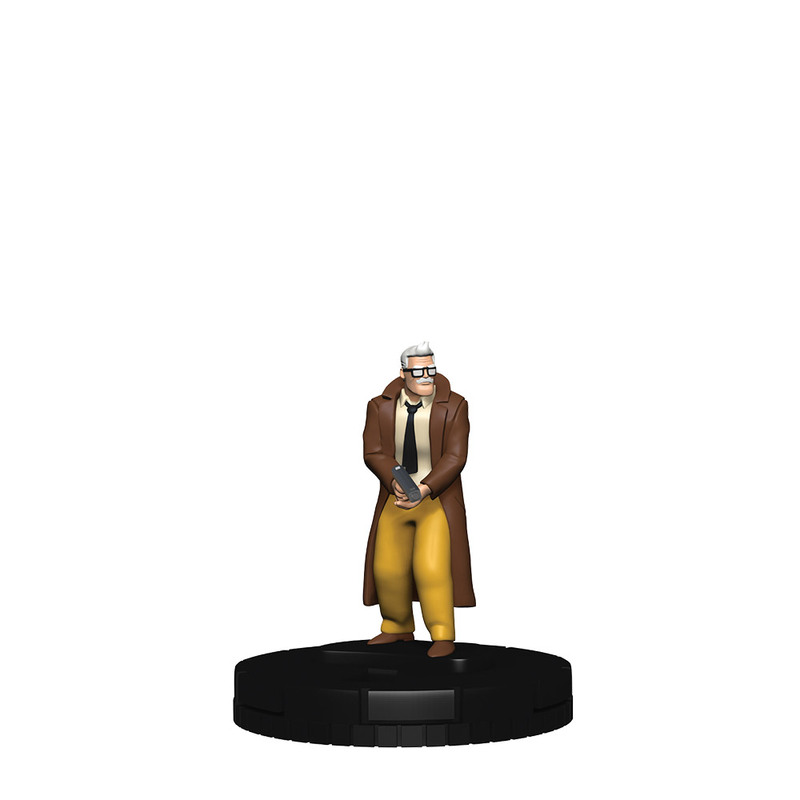 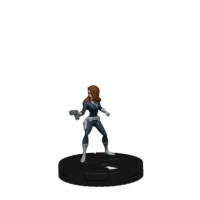 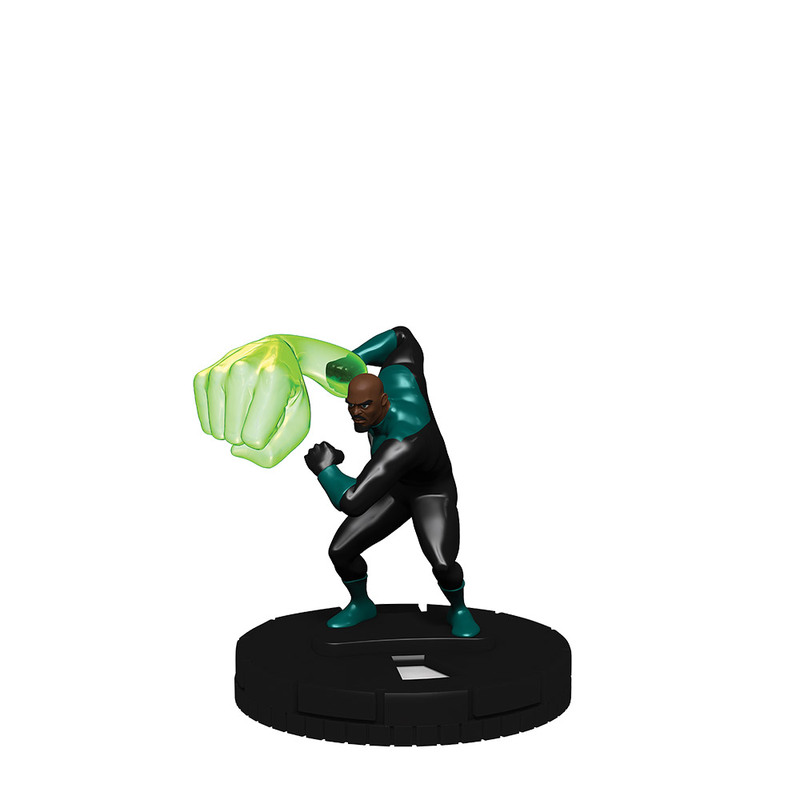 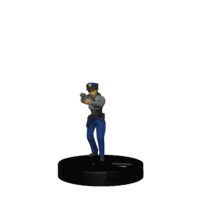 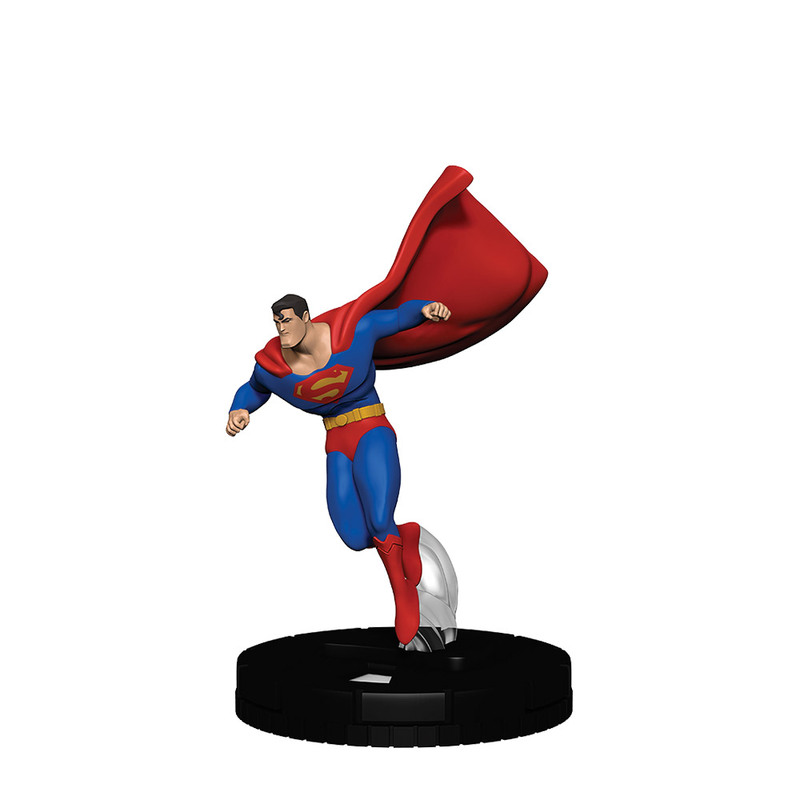 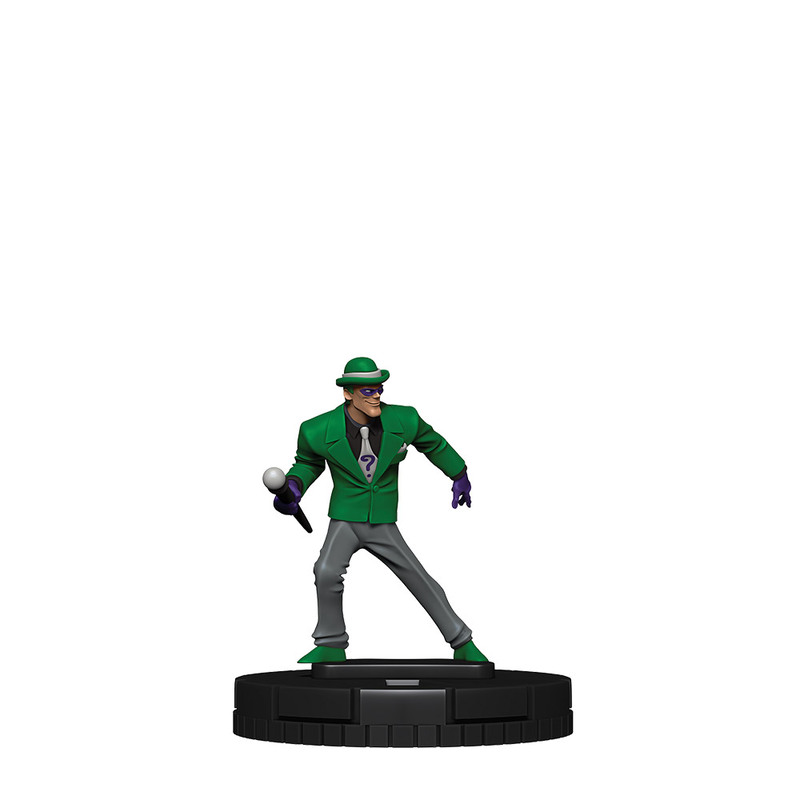 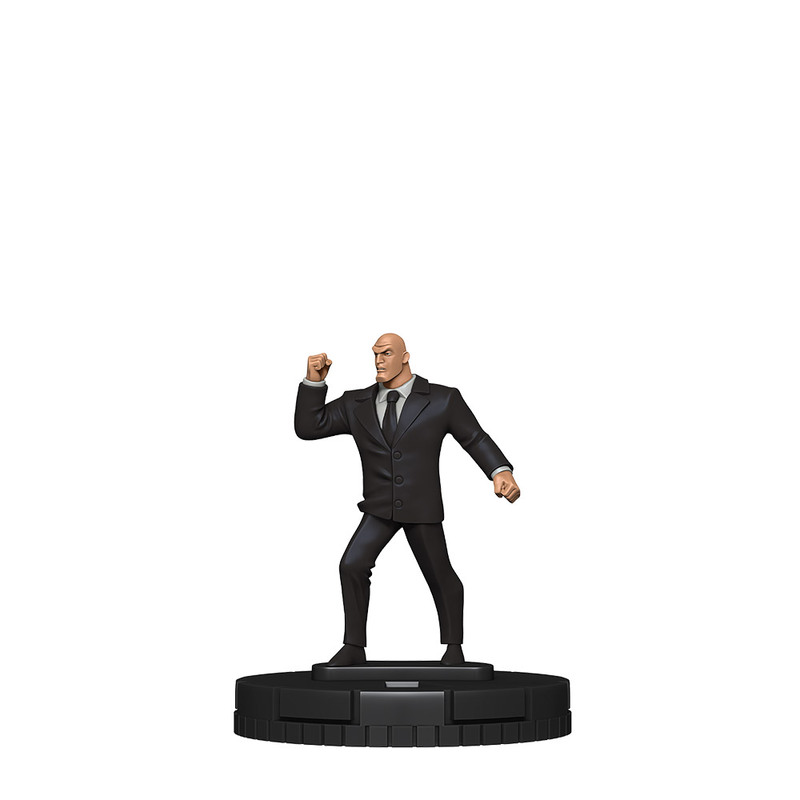 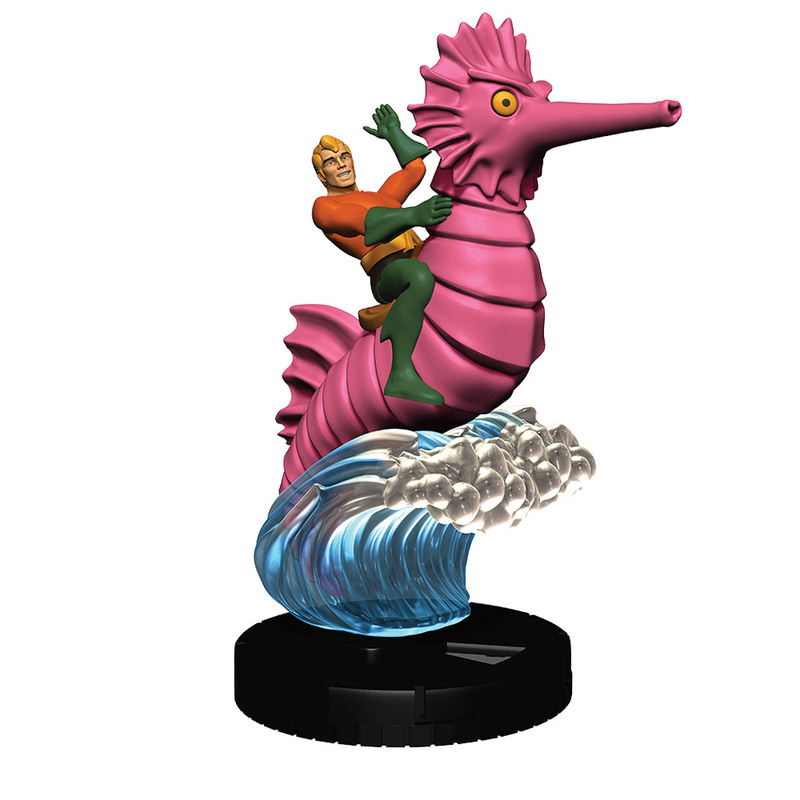 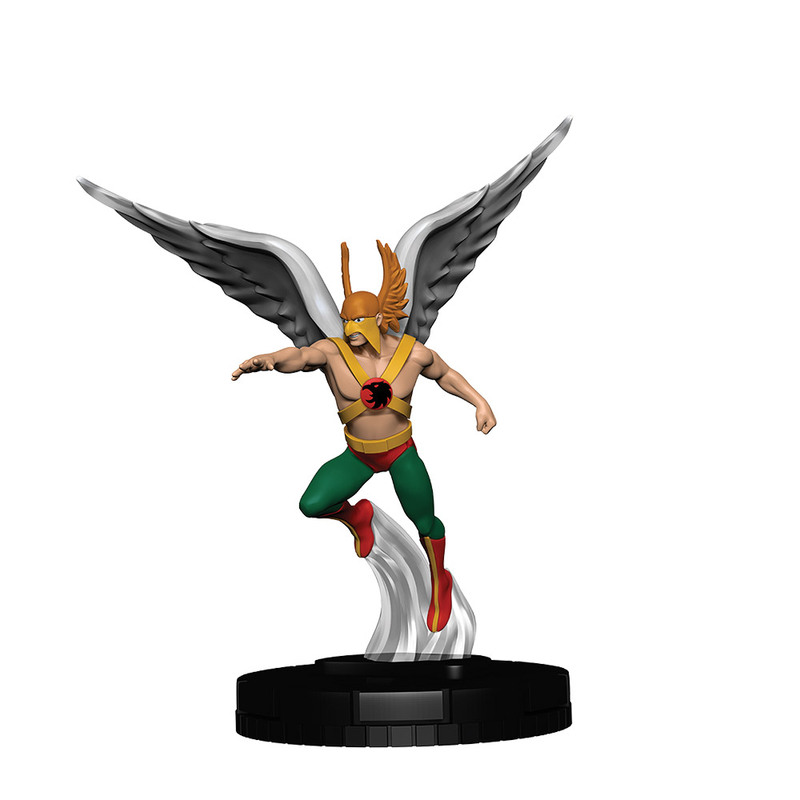 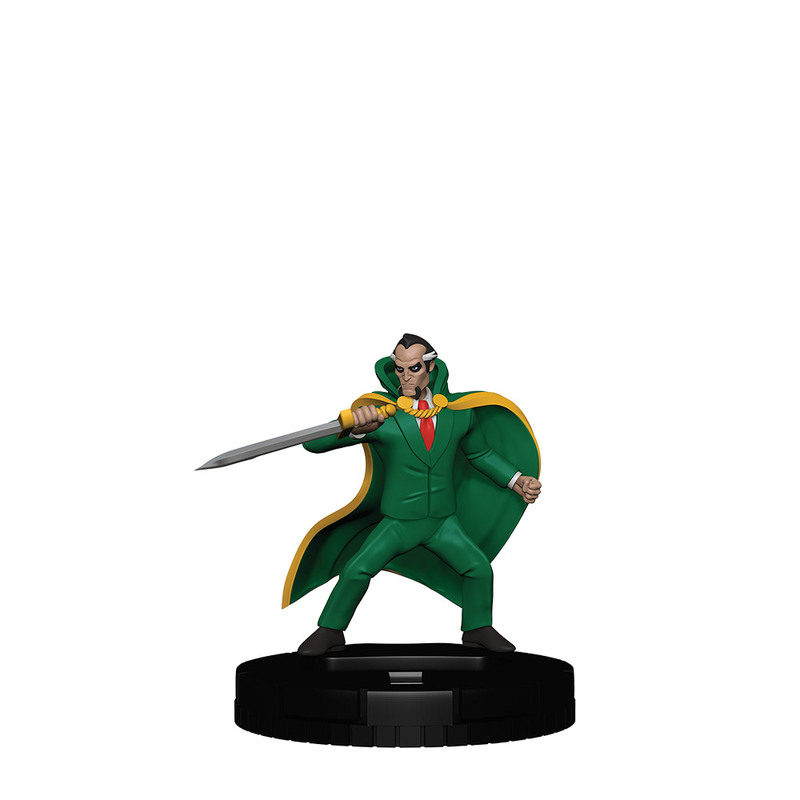 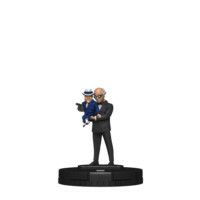 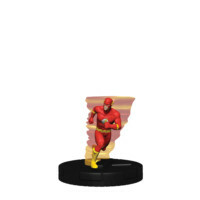 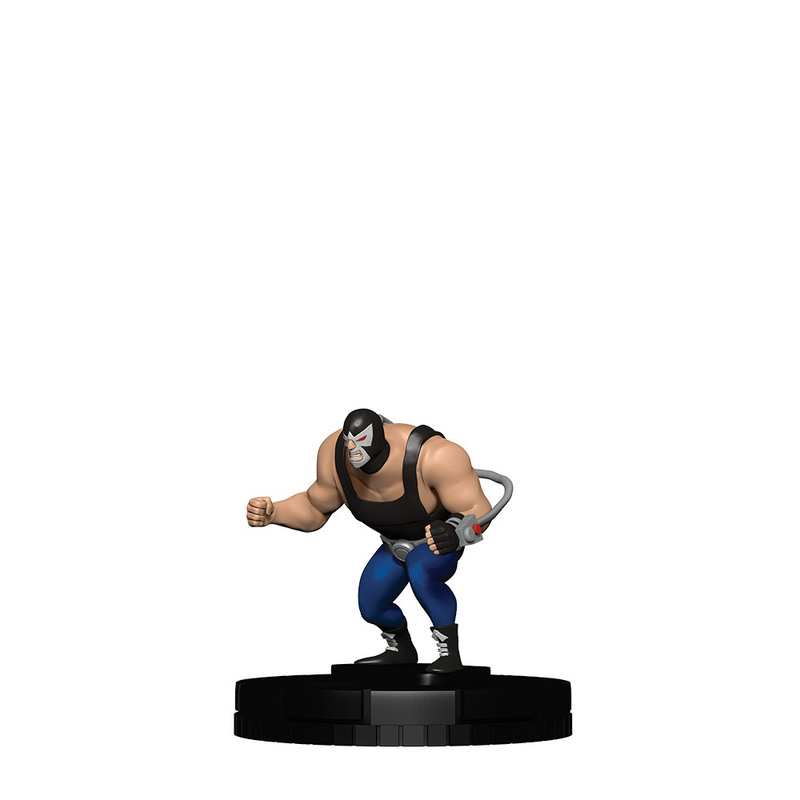 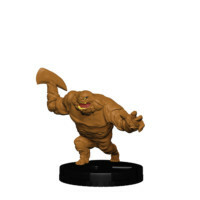 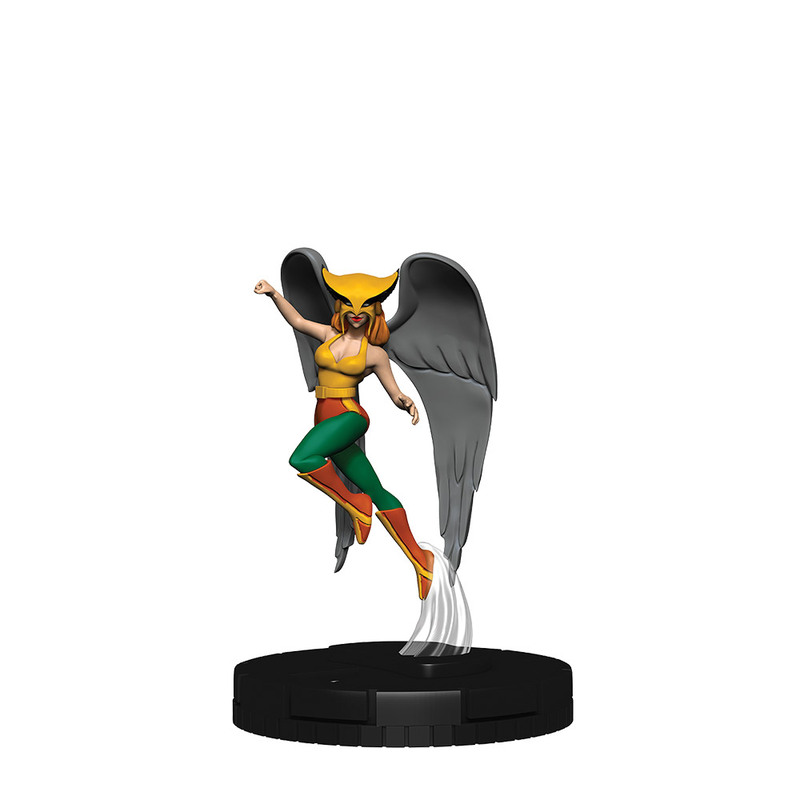 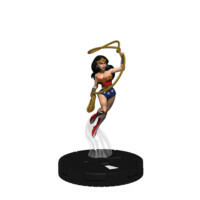 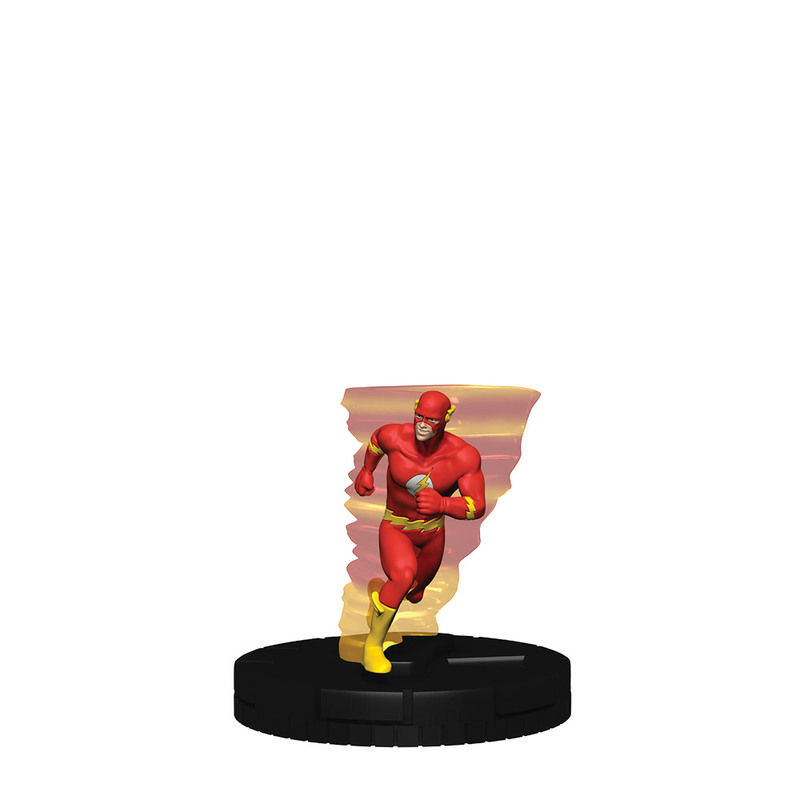 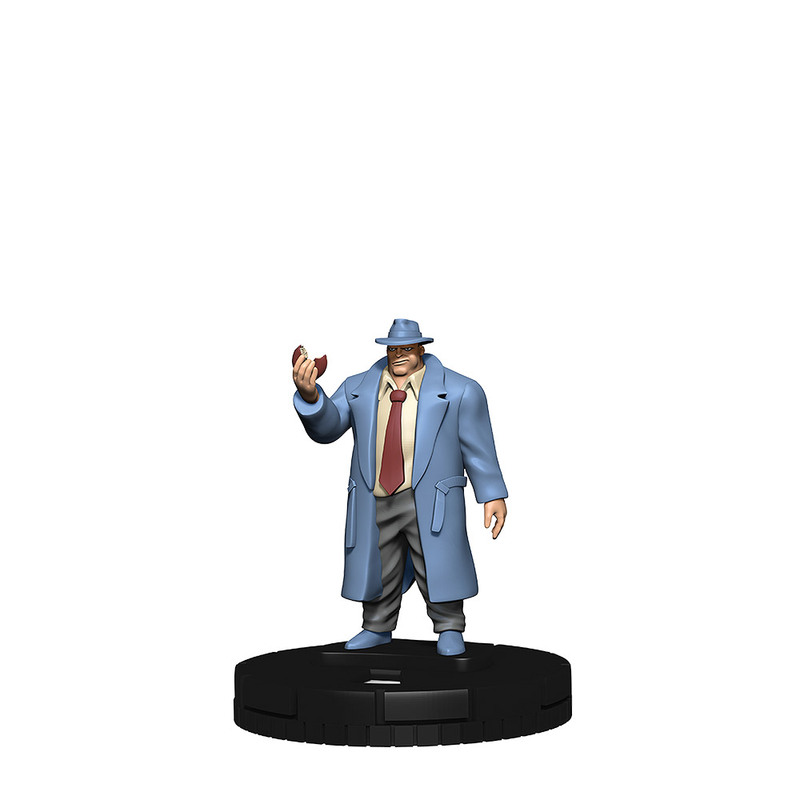 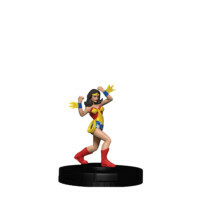 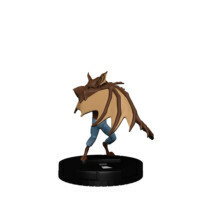 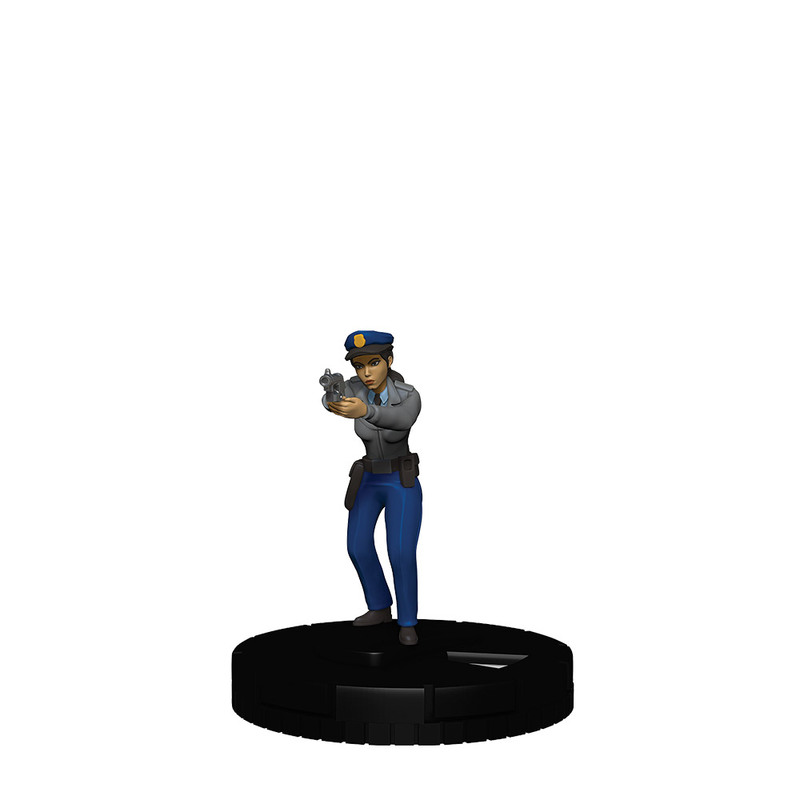 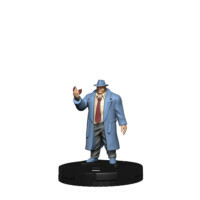 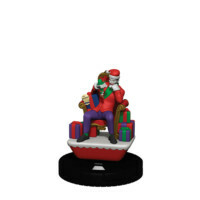 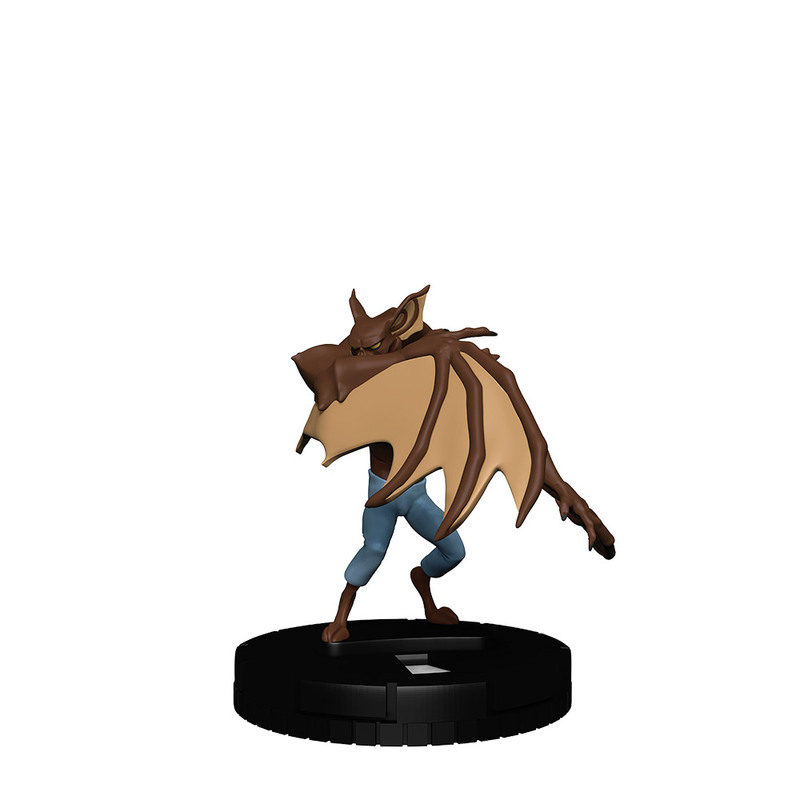 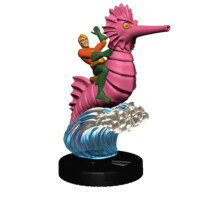 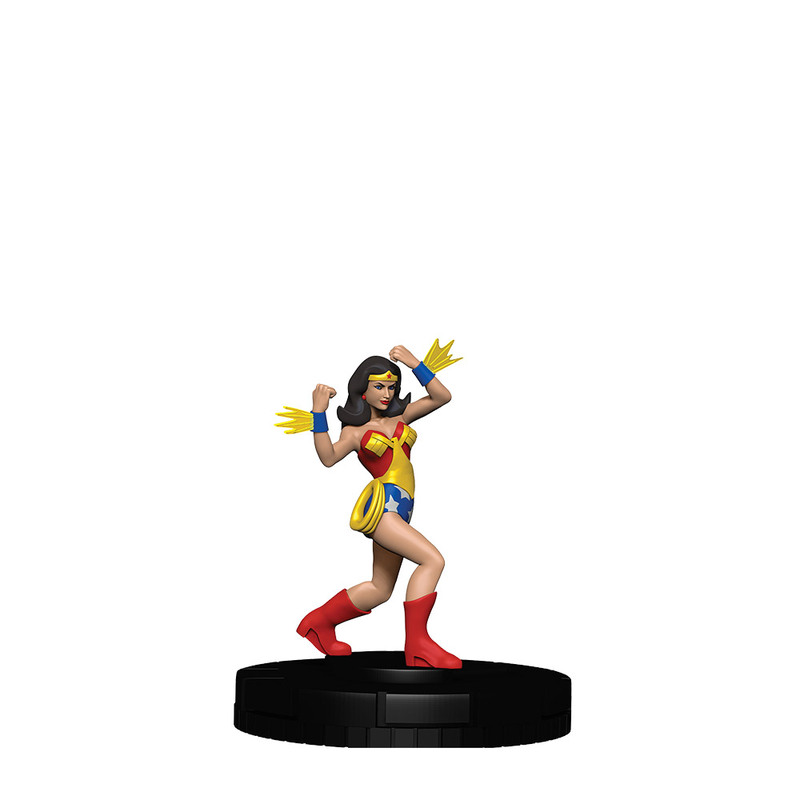 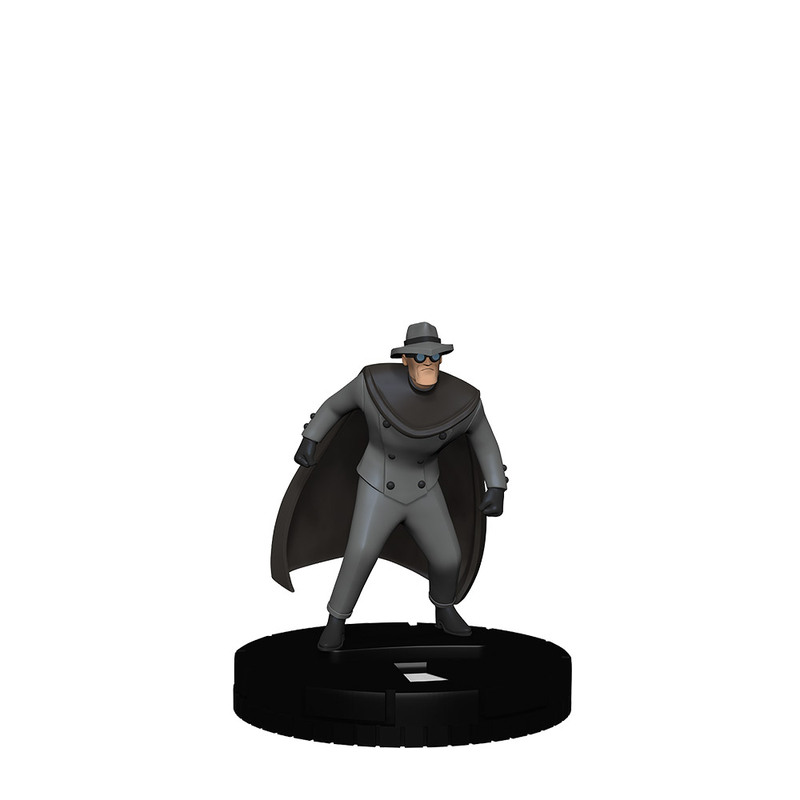 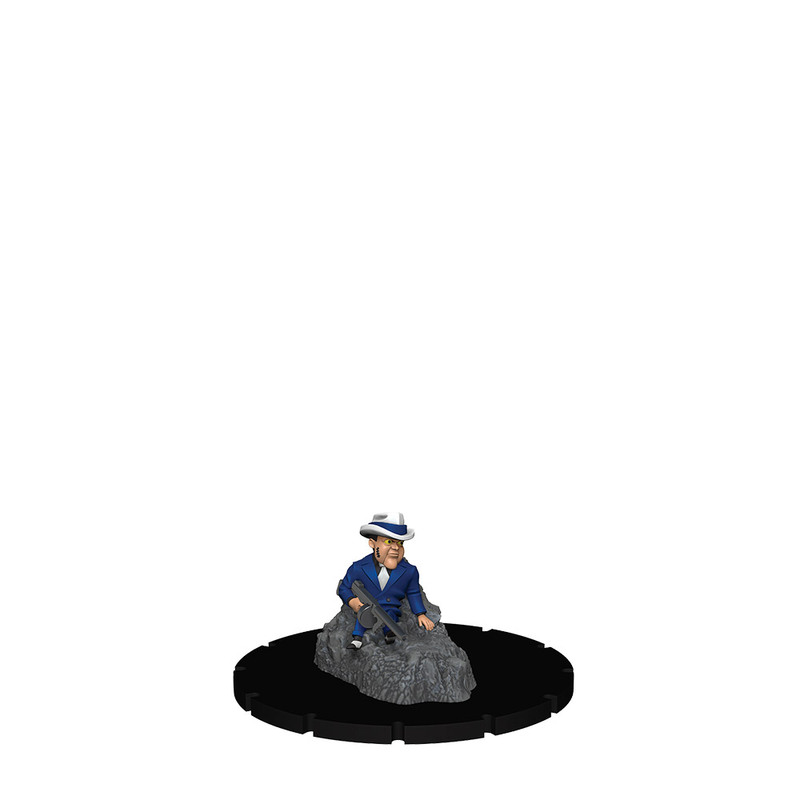 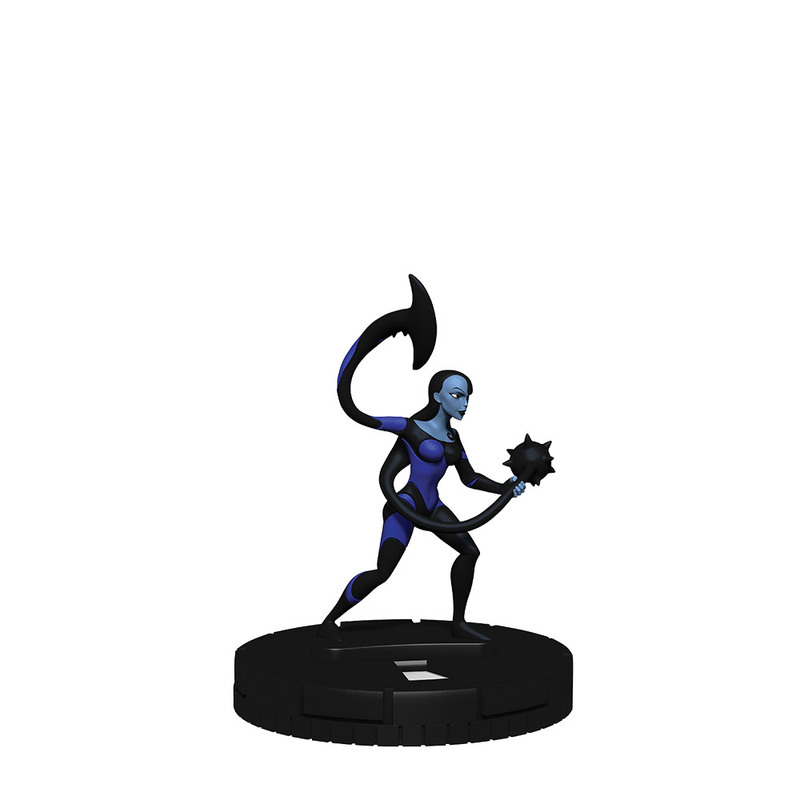 The HeroClix team has taken special care to showcase characters from beloved episodes that have never been Clixed before like Zeta, Leslie Thompkins, Maxie Zeus, Kyodai Ken, The Clock King, The Phantasm, Riddler’s Robot Minotaur, Apache Chief, and others! 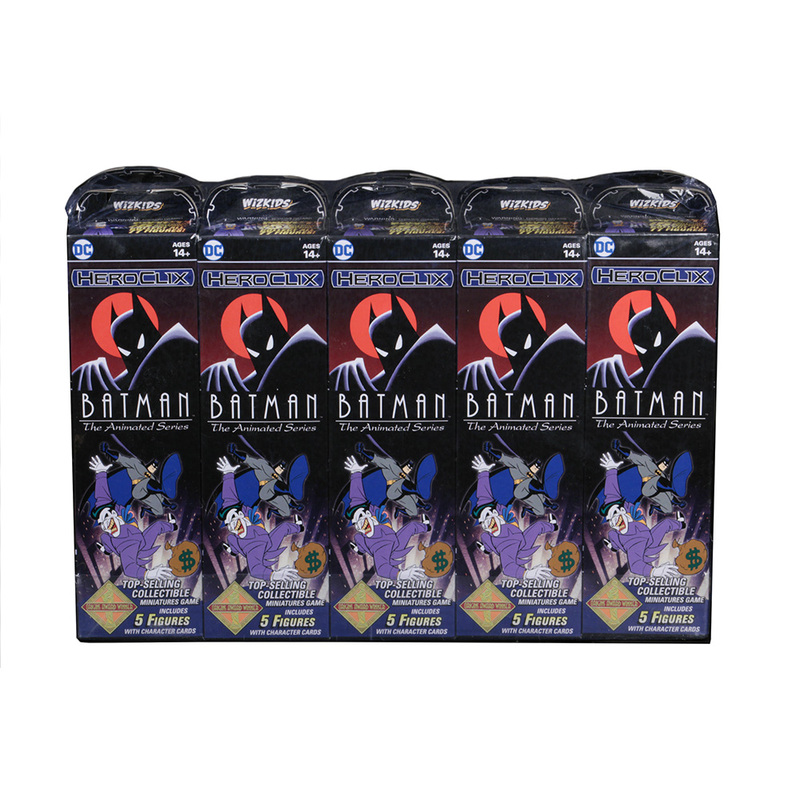 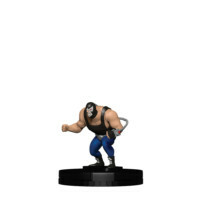 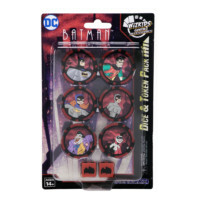 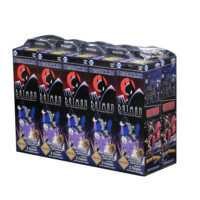 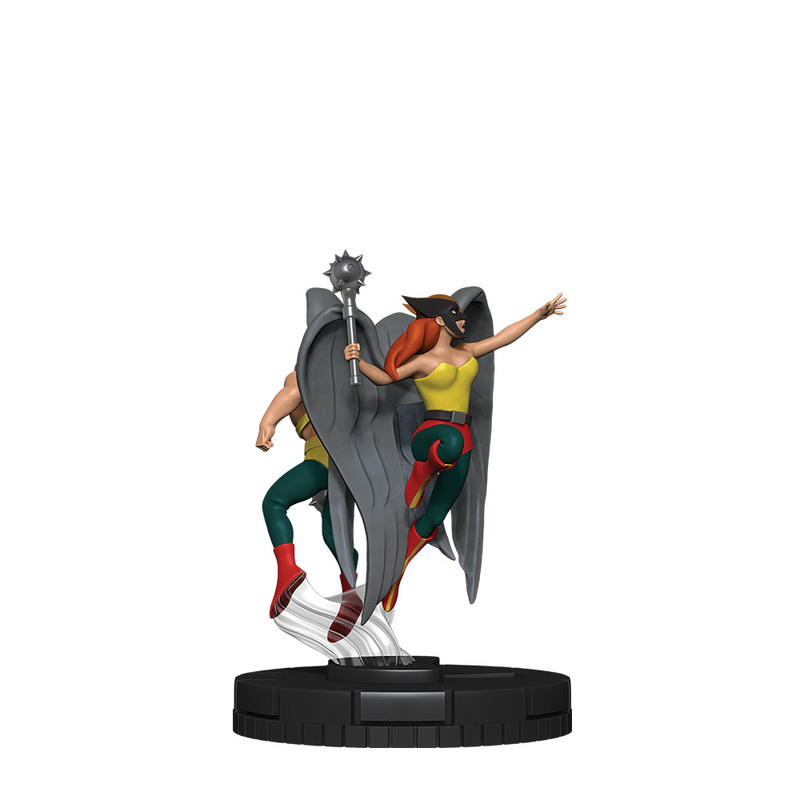 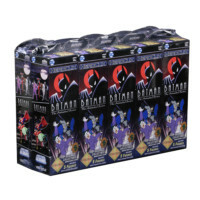 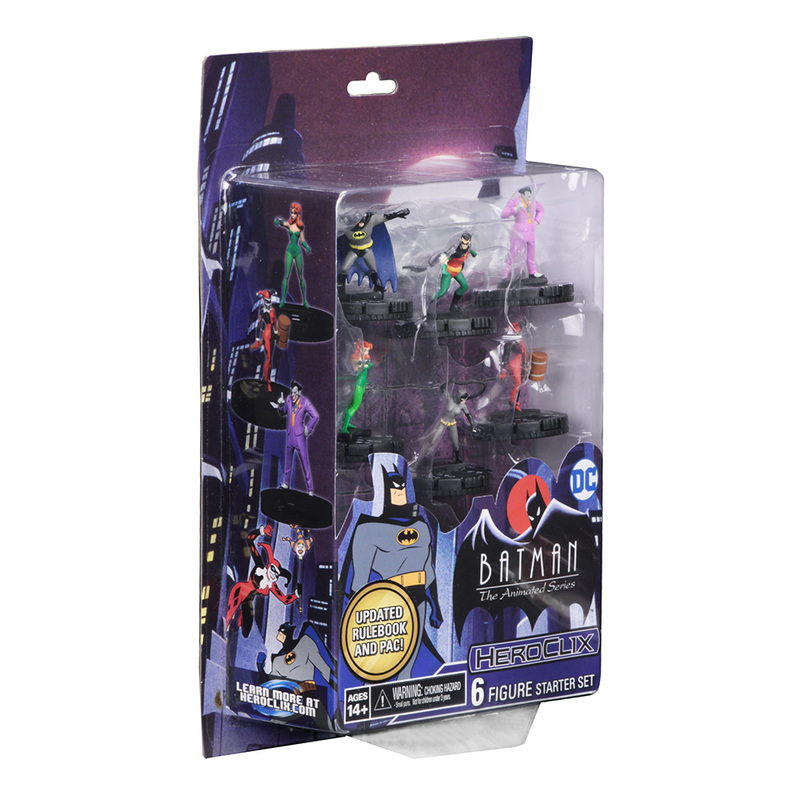 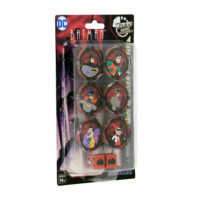 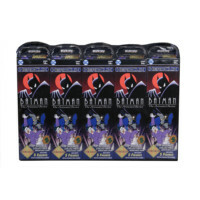 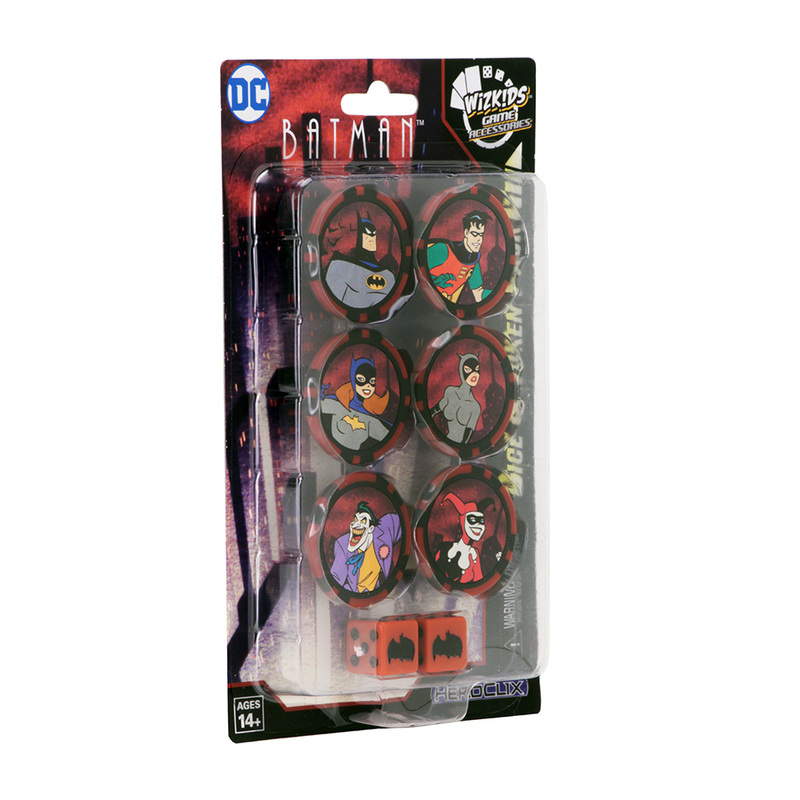 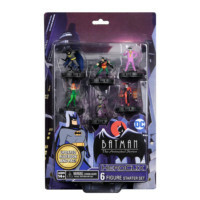 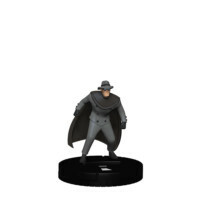 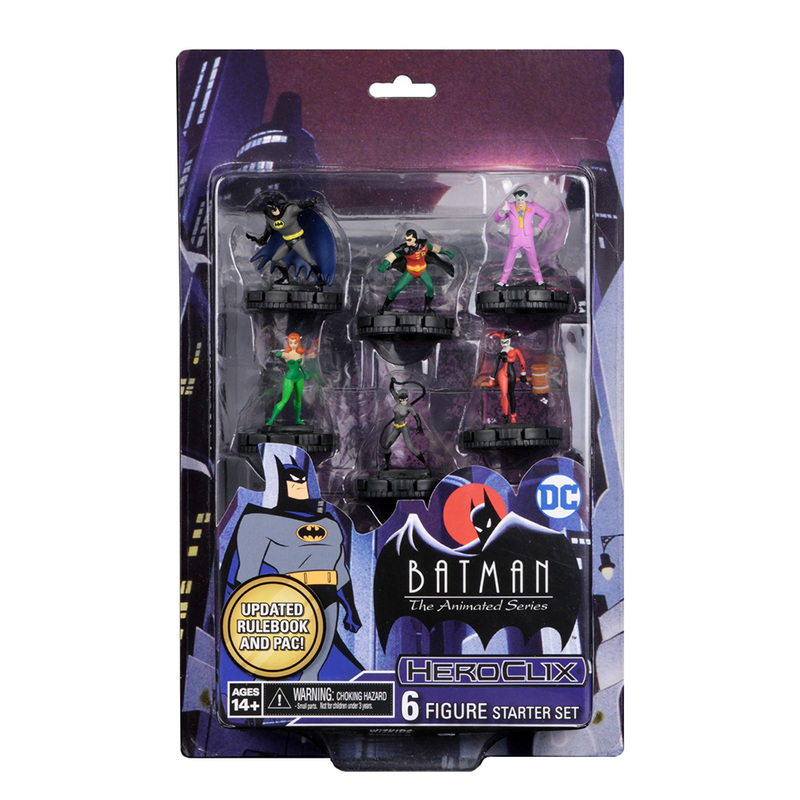 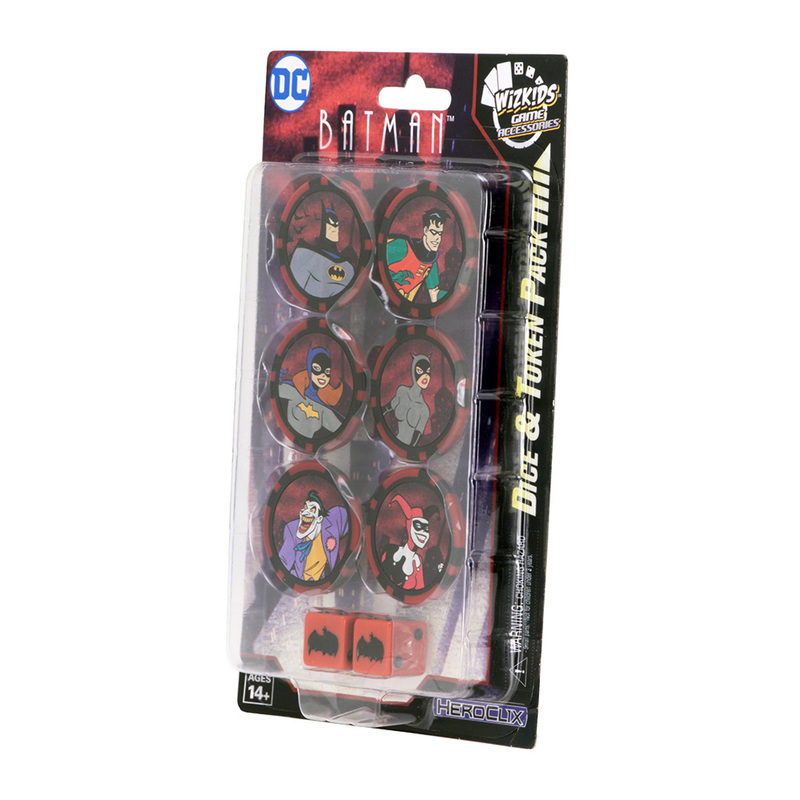 The DC Comics HeroClix: Batman The Animated Series Starter Set includes two iconic superheroes from the Bat Family and four of Batman’s most notorious enemies with all-new dials! This Starter Set features the namesake of the set, Batman, as well as his always trusty sidekick, Robin, both ready to take down crime in Gotham! Their malevolent counterparts include Catwoman, Harley Quinn, Poison Ivy, and the ever-sinister The Joker! 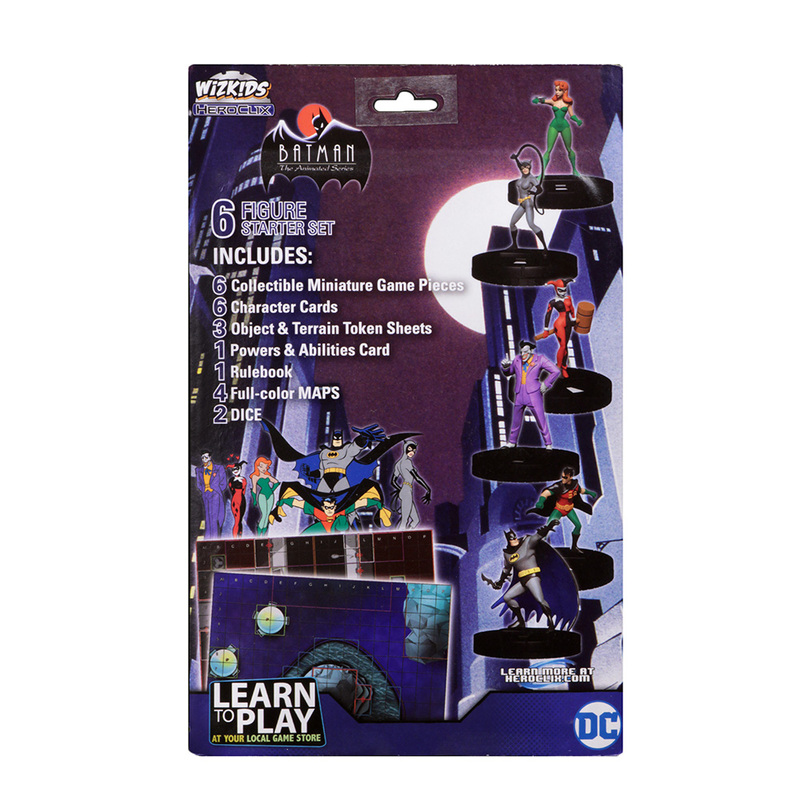 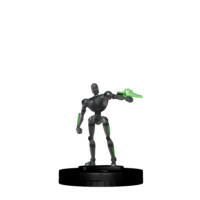 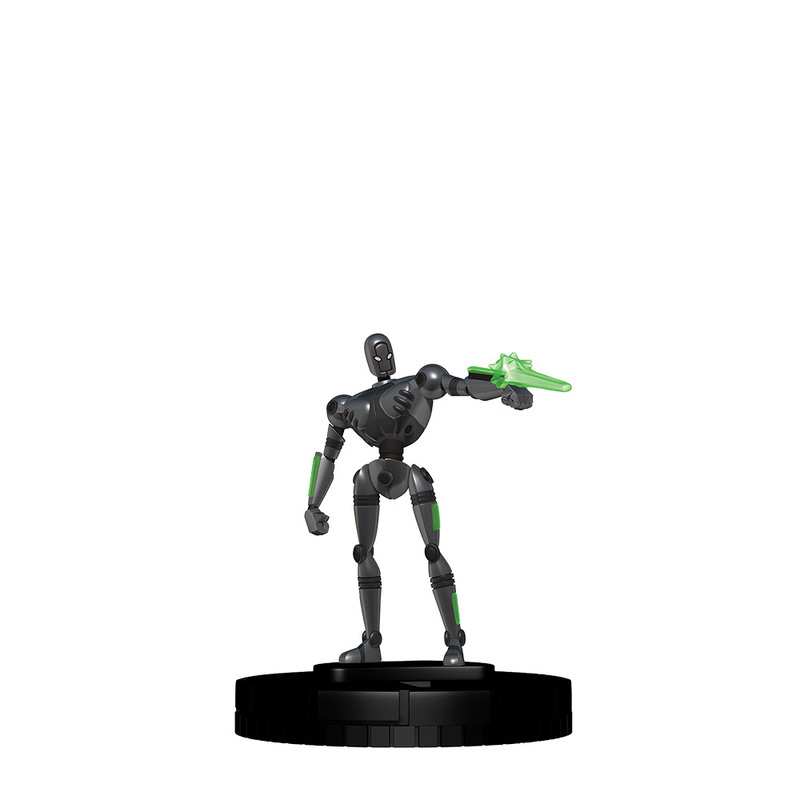 Along with these six fantastic figures, this Starter Set includes everything a player needs to learn and start playing HeroClix today! 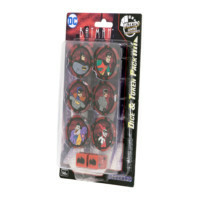 From the figures, to a HeroClix Rulebook, two double-sided Maps, a Powers and Abilities Card (PAC), Object Tokens, Terrain Tokens, Dice, and Character Cards. 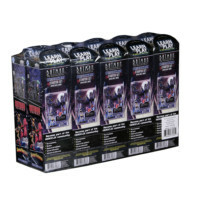 Get this unbelievable Starter Set today to start playing HeroClix or bolster your ever-growing collection!